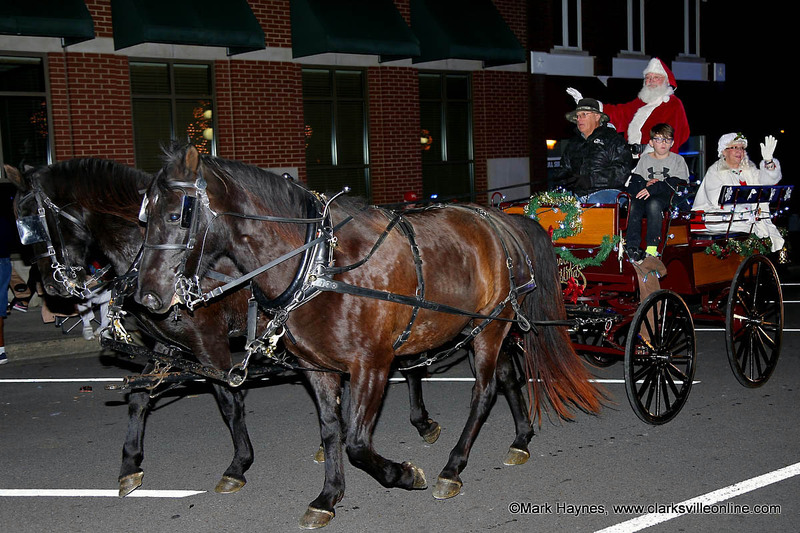 Clarksville, TN – Clarksville Parks and Recreation says be a part of a Clarksville tradition by participating in this year’s annual Christmas parade, hosted by the City of Clarksville and Montgomery County Government. 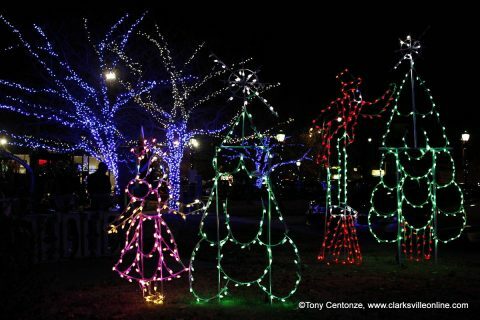 This night-time, lighted Christmas parade is scheduled for 5:00pm Saturday, December 1st, 2018 in downtown Clarksville. Three time cancer survivor Kristie Mixon will be this year’s grand marshal. Join Clarksville Mayor McMillan for the official tree lighting ceremony on Public Square immediately after the parade. Deadline to register for 59th annual Christmas Parade is Wednesday, November 28th. 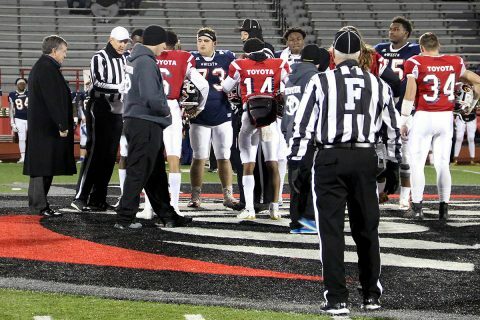 Clarksville, TN – The 2018 Toyota East West All-Star Classic will be held in Clarksville, Tennessee at Austin Peay State University’s Fortera Stadium on Friday, December 7th, 2018 for the second year. The All-Star Classic is organized by the Tennessee Athletic Coaches Association (TACA) and is made up of the state’s top 88 senior football players who are selected from more than 400 nominations. Tennessee’s top 88 football seniors to play December 7th at APSU’s Fortera Stadium. Clarksville, TN – Be a part of a Clarksville tradition by participating in this year’s annual Christmas parade, hosted by the City of Clarksville and Montgomery County Government. 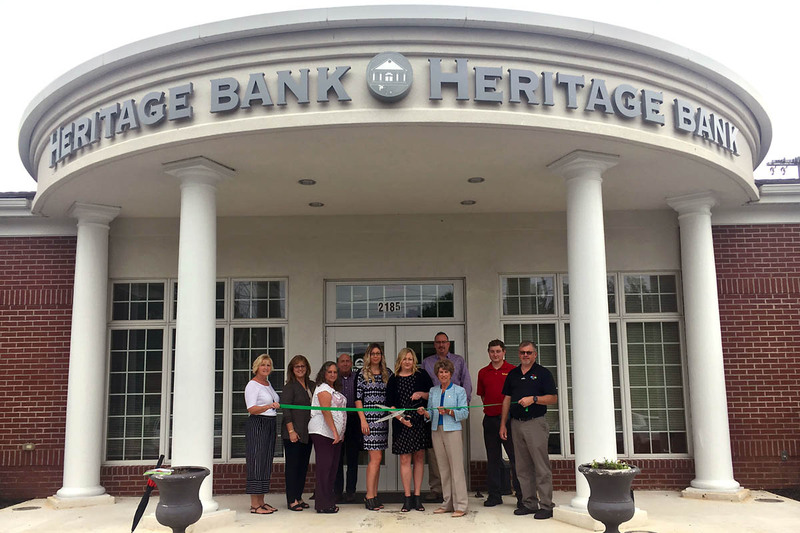 This night-time, lighted Christmas parade is scheduled for 5:00pm Saturday, December 1st, 2018 in downtown Clarksville. Clarksville Christmas Parade in Downtown Clarksville. 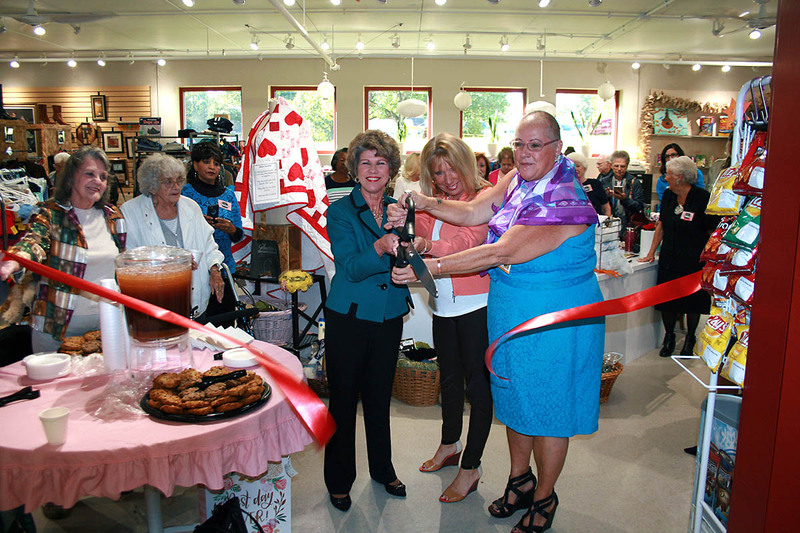 Clarksville, TN – Clarksville Mayor Kim McMillan and Ajax Turner Senior Center officials on Friday dedicated The Shoppe, a thrift store that offers high-quality donated and consigned clothing and household goods to center patrons and the public. 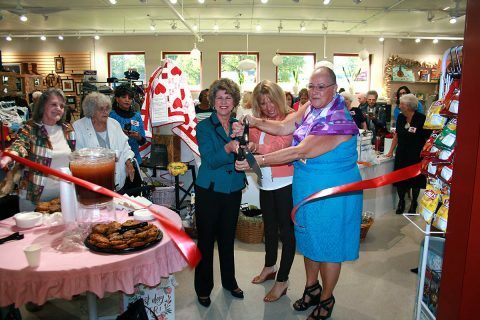 Clarksville Mayor Kim McMillan cuts a ribbon Friday to dedicate The Shoppe, a new thrift store at the Ajax Turner Senior Citizens. Clarksville, TN – City of Clarksville employees competed Tuesday in the 2nd Annual United Way Field Day event to kick-off the annual workplace giving campaign. Twelve six-member teams from across the City of Clarksville gathered at the Wilma Rudolph Events Center compete in nine “minute-to-win-it” games, including Ping Pong Shake, Elephant March and Balloon Pop. Team names were equally creative, including Blue Light Special, Killa Watts, Perfectly Balanced and Codes Crusaders. 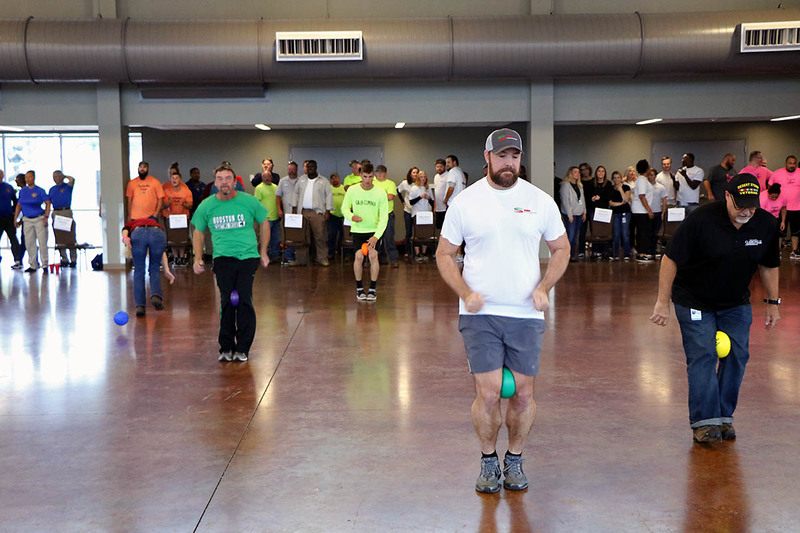 City of Clarksville employees race across the Wilma Rudolph Event Center during the penguin walk competition during the 2nd Annual United Way Field Day October 16th, 2018. 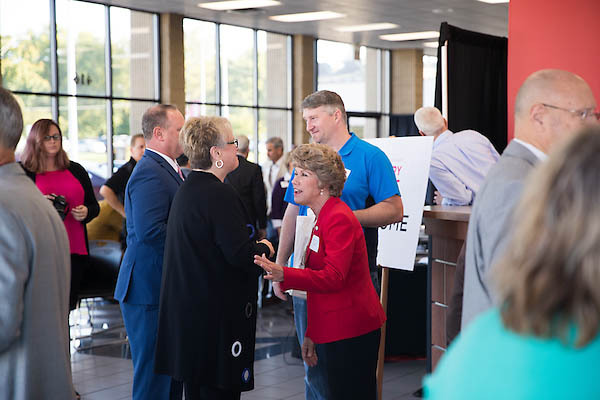 Austin Peay State University President Alisa White and Clarksville Mayor Kim McMillan talk before the summit. Clarksville, TN – The Tennessee State Soccer Association has accepted the City of Clarksville’s invitation to begin negotiating a potential management and use agreement for a state soccer park as part of a new Clarksville Athletic Complex. 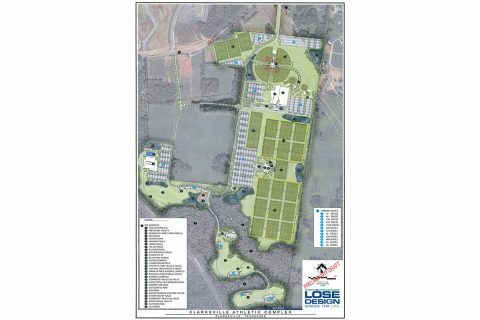 TSSA said Tuesday in a letter to Clarksville Mayor Kim McMillan that it “wishes to enter the next phase of negotiations” and that its board will vote on December 1st to select a site for its statewide soccer complex. 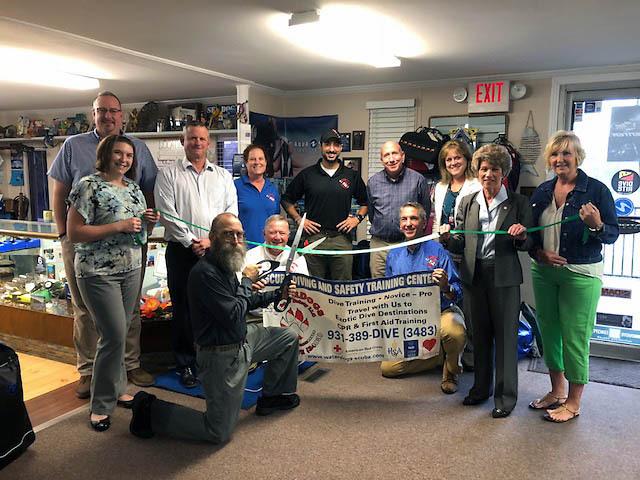 Montgomery County, TN – The Clarksville Montgomery County Green Certification Program (CMCGCP) held a green ribbon cutting on Monday, September 24th, 2018 for the newest certified organization, Waterdogs Scuba and Safety. 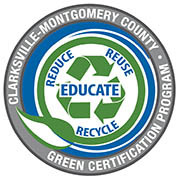 The ceremony was attended by Montgomery County Mayor Jim Durrett, Clarksville Mayor Kim McMillan, Melinda Shepard of the Clarksville Chamber of Commerce, David Graham Director of Bi-County Solid Waste, CMCGCP Steering Committee member Rose Melton (Altra Federal Credit Union), CMCGCP Steering Committee member Doug Jones (Montgomery County), and CMCGCP Manager Carlye Sommers. (L to R) Doug Jones, Carlye Sommers, Mayor Jim Durrett, Steve Wagner, Glenda Stout, Cecil Stout, Ben Gaballa, David Graham, Rich Holladay, Rose Melton, Clarksville Mayor Kim McMillan, Melinda Shepard.